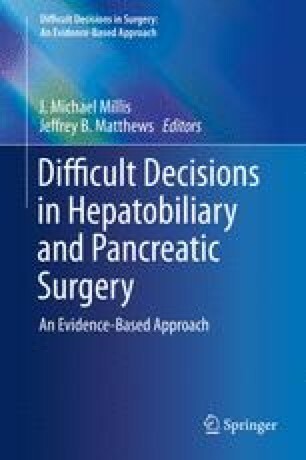 Management options for pancreatic pseudocyst are numerous and include endoscopic and surgical approaches. Much debate exists regarding which of these approaches is superior and when each is most appropriate. While endoscopy offers less post-procedural pain, shorter length of stay, and fewer complications, laparoscopic surgical approaches are more suitable for pseudocysts whose locations or other characteristics present significant technical challenge or are otherwise unamenable to endoscopic drainage. Endoscopic management should be attempted when technically feasible, and a laparoscopic approach should be employed when endoscopic drainage would be technically difficult or in symptom recurrence following initial endoscopic management.